This is one of the promos which you won’t like to miss if you need a good Antivirus/ security Solution for your Windows system. Thanks to a chinese promo, you can Grab free Kaspersky Internet Security serial valid for 1 year. Just keep in mind that the license key doesn’t work on English Version but just on Chinese version of Kaspersky Internet Security 2011. You need to use some work around to convert Chinese to English. 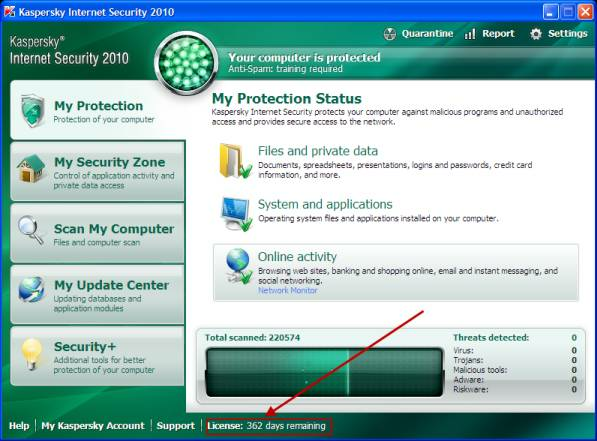 The workaround works only with Kaspersky Internet Security 2010 version and not on 2011. Still, it is good enough for everyone who loves to use Kaspersky as a security solution. 2. Enter your email address, confirm it again and submit it. 3. On the next page, just fill out a captcha to proceed. 4. On the next page, you will get a message in chinese which basically means the License key is being sent to your email you just entered. Keep in mind, they changed the process a bit and started mailing License keys to email instead of displaying it directly on next page. 5. Check your email. You will find the license key in your email. You can use the license key to activateÂ 2011 Chinese version. If you want to use a English Version of Kaspersky Internet Security, you can use the workaround to convert Chinese to English for 2010 version. Grab it before it expires. Totally useless trick for non-chinese users. thaks a lot avinashtech for this useful trick,,,,,,,,,,,keep it up…………………..!!!!!!!!!!!! Keep in Mind the key will only work with chinese setup. bro chinese setup means ???????????? how to get chinese setup ????????????? Sir, I have installed kaspersky. Where will be get the license file?. can u send the key or give the information.. Right now, no promotion by Kaspersky is available which provides a free key. Wait for some promos or buy one.